What It Is: Softening hair oil for brittle hair. How To: Apply the oil with your hands on damp or dry hair, massaging it into your roots and ends. I often did this before blow drying my hair. What We Thought: With the changing season, my hair tends to dry out. 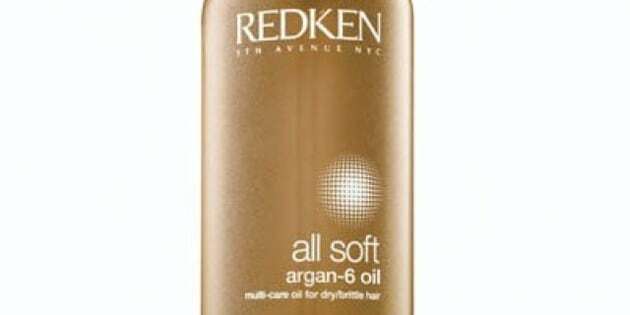 After using the oil about seven to eight times every other day (and washing my hair) I did notice my hair felt more hydrated and, generally, softer. My roots and ends were in better shape, too -- even after using a heated iron. The oil is very lightweight, which won't make your locks look or feel heavy. The Downfalls: Applying the product can get messy, especially with the spray-like applicator. I would recommend applying it in your bathroom and washing your hands with soap and water as soon as you massage the oil into your hair. Final Remarks: If you're looking for a way to fix your dry, dead hair, using a hair oil is definitely the way to go. Do you have something you want us to test out? Let us know on Twitter.